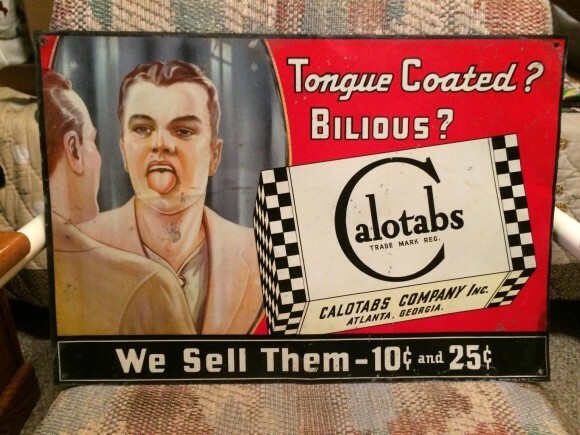 This sign is for Calotabs Tounge Coated Billious. The sign’s colors are tan, black, white, and red. The text on the sign reads: Tongue Coated? Bilious? Calotabs Company Inc. Atlanta, Georgia. We Sell Them 10c and 25 c. The sign shows a man with his tongu out and text to the side.